Tuesday afternoon, our older son, Eric, held up his iPhone so I could see the screen. On display was an unimpressive image of a sphere, various shades of beige to brown against a black background. Not much of an attention-grabber. “What am I looking at?” I inquired. First, I was impressed by how far the spacecraft had traveled: over three billion miles. 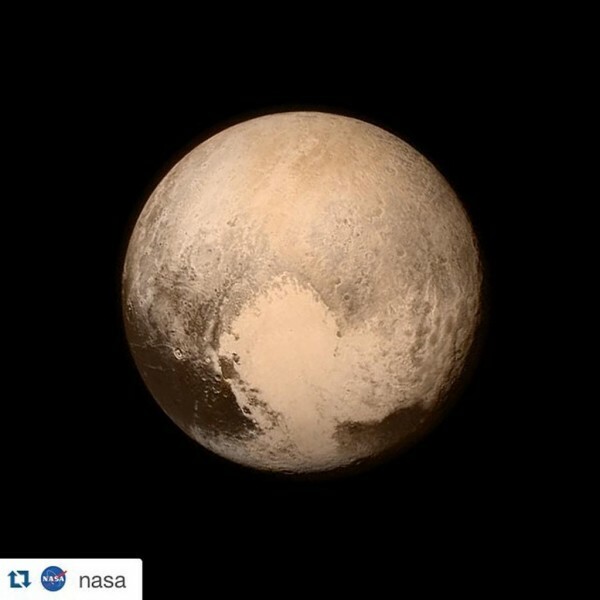 Even at thousands of miles per hour, it took New Horizons almost a decade to reach Pluto. Incredible. Then I noticed how well-lit the dwarf planet appeared, considering its distance from the sun (3.6 billion miles). Also astounding. And I marveled how a tiny sphere of rock that far-distant, is still controlled by the sun’s strong gravitational pull, keeping it in orbit within the solar system. In fact, there are even more dwarf planets beyond Pluto that are maintained in a stable, elliptical orbit around the sun. We’d be smart to consider the heavens with David. Our attention is so often focused on to-do lists, calendars, and bank accounts, we forget we’re just specks in the cosmos. Even Planet Earth is less than a tiny pinhead of matter, when compared to the universe. Yet we view the sun as playing a supporting role in our lives, giving us light and keeping us warm. In fact, the sun is the star (pun intended!) of the Solar System Show. It occupies center stage, and accounts for 99.8% of the mass in our planetary system. In actuality, the sun is the most important influence to our existence. It is perfect in size, perfectly distanced from earth, burning at the perfect temperature and brightness in order to sustain life here on our little planet. Yet another sun is even more perfect. “The Lord is a sun” (Psalm 84:11). Just as the physical sun is a glorious object in creation, so our God is glorious in light and splendor (Psalm 104:1-2). 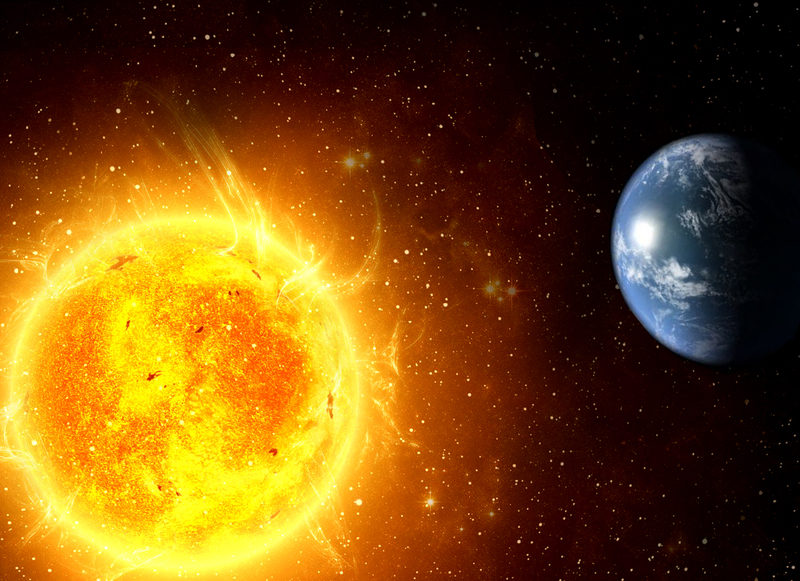 The sun has existed since time began, and will continue to exist until time (as we know it) ceases. God, too, spans all of time (Isaiah 40:28). The sun is a source of incomprehensible power. To produce the same amount of energy as the sun, 100 billion tons of dynamite would have to be detonated every second! Yet our God is even more powerful. He is the Creator of our mighty sun, the sovereign Lord of the universe (Jeremiah 32:17). 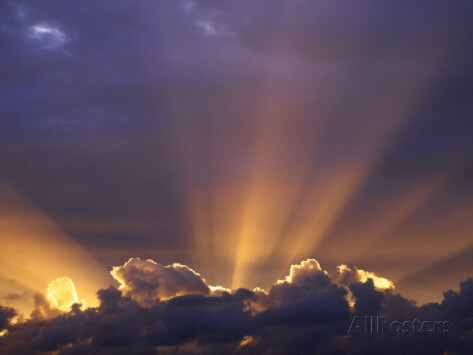 The sun provides light; the Lord provides the light of his presence and understanding (Psalm 44:3; 2 Corinthians 4:6). The sun provides warmth; our God provides the warmth of comfort and consolation (2 Corinthians 1:3). Without the warmth and light of the sun we would soon die. Without the Light of Life (Jesus) in our lives, we would forfeit eternal life (1 John 1:5-7). The sun’s glowing beams shed beauty and joy; our God sheds beauty and joy into our hearts (Isaiah 61:3). Thank you, Father of the heavenly lights, for illuminating our lives from without and within. We praise you for your dazzling splendor! May we walk in the light of the Sun of Righteousness, and reflect his radiance to those around us. Ooooh, cool stuff here! Thank you, Nancy – and thank your son, too. I missed this news and it is beautiful. The more I think about the stars, sun, and planets, the more I marvel. Thanks for reading, Diana, from your vacation spot! I used to climb out my bedroom window and just look at the stars when they was no ground light. Now I light to go to the mountains and look at the stars when there is no grounds light. Just so beautiful and Psalm 19:1 is a perfect description of it. Oh, yes! We miss so much of the “heavenly declaration” because of city lights. I’ll never forget the first time I saw that magnificent swath of stars we call the Milky Way. Breath-taking! Thank you for stopping by, Samuel, and taking the time to comment! Nancy, when ever I come by your ‘home’ I feel encouraged. How marvelous! All we can do is look or stare in wonder. So glad you find encouragement here! And a big YES to your comment: all we can do is stare in wonder at God’s incredible works! 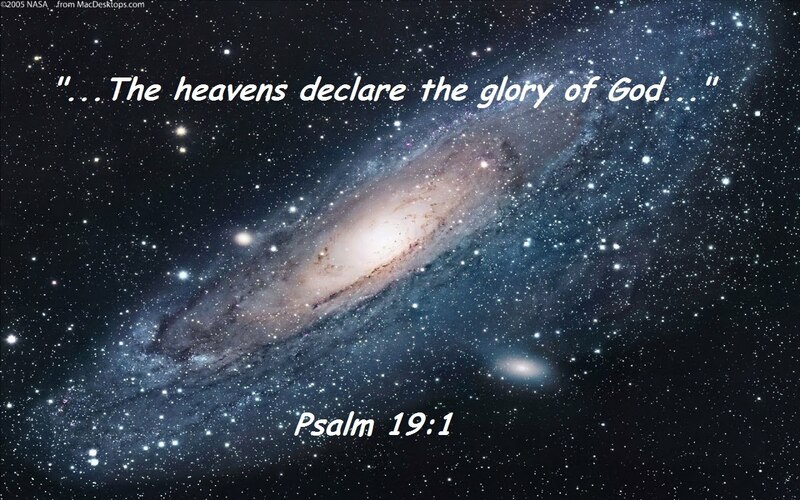 Nancy, it just amazes me that God holds that all together with his word….He spoke and it was created and His power keeps every part of the solar system held together. I love this outer space amazement. And just think overtime the scientists think they have an explanation, a conclusion, an understanding, God opens up the inner and outer world even more. Amen! The heavens DO declare that such marvels as the gravitational pull of the sun, the perfect position of earth for life to be sustained, the infinity of space, the billions of stars, could NOT have just happened by chance. You’re right. The more scientists learn, the more proof we have of a Supreme Being–the first step toward believing in God. In my opinion, it takes more (blind!) faith to be an atheist, and discount all the proof, than it takes to be a Christian! Wonderful post, Nancy. I especially appreciated what you wrote in response to jeanwise: “In my opinion, it takes more (blind!) faith to be an atheist, and discount all the proof, than it takes to be a Christian!” That is SO VERY TRUE. Delighted you enjoyed the post, Cheri. As for the atheists and agnostics among us, I pray that they will be filled with holy curiosity to know the TRUTH of God’s existence, Jesus’ life, and Holy Spirit power! A sincere search will ALWAYS result in faith in God! Excellent job. Thank you for lifting my eyes above this earth. Have you seen the video, “How Great Is Our God” with Louie Giglio on YouTube? I know you and Steve would enjoy it. Thank you, Nikki. We’ll have to check out that video!